We have fallen into a seriously dull lunch routine. I'm talking pb&j's every. single. day. It's getting so boring that I'm pretty certain Judah's on a hunger strike. When we had to start buying PediaSure to make sure he was getting enough calories, I knew I needed to step it up. 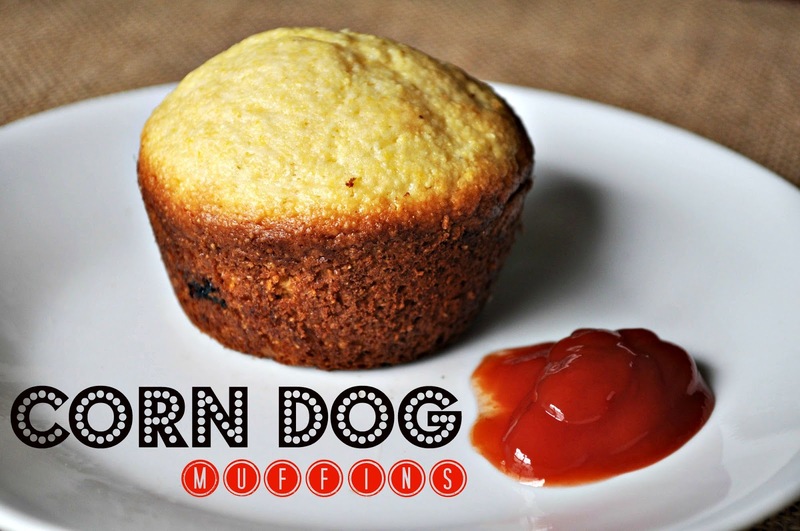 You can add as much hot dog as you want to your muffins. In this picture, you can see that I added very little so that it would be easier for Judah to eat. Since Judah has recently started his own culinary career, I decided to go with something that he could help make. With the exception of messing with the oven, he pretty much did this whole thing himself (under intense supervision). For more bite-sized portions, use a mini muffin pan instead of a standard-sized muffin pan. First, prepare the Jiffy mix using the directions on the box (my directions said to mix the cornbread mix, egg and milk together). Chop up a hot dog. You can make these with one large piece of hot dog right in the center of the muffin; however, since hot dogs are a choking hazard with toddlers, I opted to cut them up. Pour one scoop of cornbread mix into each muffin tin. Add your desired amount of cut-up hot dogs. Cover with another scoop of cornbread mix. Bake at 400° for 12-15 minutes, or until golden brown. Be aware that darker pans cook faster, so keep an eye on it.